The church needs innovation, experimentation and risk taking. The church has bureaucracy: inactivity in the name of good order and process. Senseless bureaucracy keeps us endlessly mired in reporting, approval-seeking and communication. We end up with repetitive meetings, multiple levels of approval, over-reliance on procedure, and postponed decision making until everyone is informed and happy. What would it take to free ourselves from all of this and just get things done? In the late 1980’s Zebra Mussels found their way into the Great Lakes. A few Zebra Mussels are healthy for a fresh water ecosystem. They filter the water and reduce the overgrowth of algae. They produce clear water and facilitate healthier conditions for bottom dwellers. 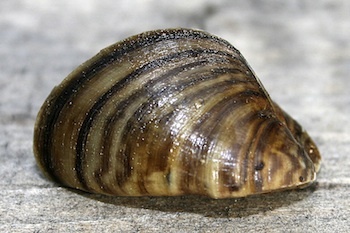 Unfortunately, Zebra Mussels also feed voraciously and reproduce rapidly. Instead of gently cleaning up the Great Lakes waterways, the mussels over-proliferated and destroyed too much algae, threatening wild fish habitats. They also clogged fresh water intake valves and filtration processes that human communities around the Great Lakes depend upon to thrive. Congregational systems are like the Great Lakes ecosystem in this analogy. A few good procedures and carefully constructed decision-making rules produce transparency and generate healthy representation. Good policy keeps us from running off the deep end in pursuit of ideas that are not a good fit for us. However, when process and procedure over-proliferate, we end up with clogged decision making. Innovation and risk taking take a back seat to sustaining good order. The good news is that there are things we can do right now to tame the bureaucracy beast and restore a healthier balance between order and innovation. Bureaucracy thrives when process takes precedence over outcomes. When communication, shared decision making, and keeping people happy become the only desired outcomes, we end up with stagnation and clogged intake valves. We begin unclogging by naming the specific changed conditions we are trying to produce in mission and ministry. This requires naming the new learning, changes in attitude, behaviors, knowledge, skills, status, or level of functioning that fulfilling your mission requires. These are your outcomes. Outcomes are the not the same thing as outputs. Outputs are the direct results of program activities (what we do) and participation (who we reach). Outputs indicate if a service was delivered to the intended audiences at the intended “dose.” A program output might include things like the number of constituents served, classes taught, meetings held, materials produced and distributed, and the number of people who engaged. When we are unclear about outcomes, we often chase outputs. Chasing outputs without clarity about outcomes promotes unhelpful busyness and feeds the bureaucracy beast. Congregational governance systems ensure representation, and the primary way we have pursued representation is through liaison roles. We select leaders on the basis of their ability to represent the voice of a specific constituency: the choir, the youth, the women, or the daycare. The liaison is expected to attend all board meetings, as well as any committee or team meetings that impact her constituency group. Her job, in addition to representing the best interest of her constituency group, is to ensure that important information from the board meeting is carried over to the committee meeting, and vice versa. There are several things wrong with liaison roles. First, liaison roles elevate communication and decision making over action. A liaison may be expected to attend three to four meetings per month so that her constituency group is appropriately informed and represented everywhere that a decision might be made. Volunteers use up all of their available time attending meetings, without actually engaging in any hands on ministry. It’s exhausting for the volunteer and the governance system. In this age of digital communication there are far better ways of sharing important information than requiring a person to sit in endless meetings, in case their viewpoint is required. The second problem with liaison roles is that they don’t promote strategic thinking on behalf of the whole. They certainly encourage debate: my group needs this, your group wants that. A room full of designated liaisons acting in the best interest of their constituent groups won’t necessarily reach a decision that is in the best interest of the whole. They are likely to make decisions that serve the needs of the constituency with the most outspoken liaison. What if, instead of appointing liaisons, we assemble smaller bodies of decision makers who act on behalf of the whole? We expect them to make informed decisions and communicate as needed with the appropriate constituencies of the church. This requires more intentionality when forming agendas, to make certain that the right people (the staff member or committee chairperson) are in the room when a decision is being considered. This would free us up to make decisions more flexibly, without deferring decisions back to committees or task forces for further consideration before a decision is authorized. Some bureaucracy stems from the fact that we don’t want anyone to be surprised or upset about a decision that is under consideration. We postpone decision making until every voice is heard and until everyone is happily on board. This squelches innovation. Nothing happens until we all agree. Next time you find yourself in a meeting where the group wants to postpone a decision, why not encourage the birth of an experiment? If the group isn’t comfortable approving a new giant step, figure out how to make it a baby step that everyone can learn from. Bureaucratic systems are built to support “Ready, Aim, Fire!” mentality. Bureaucracy seeks absolute clarity and consensus before allowing action, so that errors are not made. In this era of continuous change, we don’t have the luxury of moving ponderously. We need to act more quickly, embracing more of a “Ready, Fire, Aim!” approach to decision making. We ready ourselves to take a step that is reasonable. We pull the trigger and move ahead with an experiment that will allow us to learn something. The experiment has to be appropriate in scope so that failure won’t be devastating. We learn from the experiment and refine our next steps, postponing acts of authorization until we have learned what we need to know. Bureaucracy in a congregation is not inevitable. We don’t have to succumb to overgrown systems of communication, decision making and approval. We don’t have to wait for a major overhaul of our governance system from the denomination. We can begin right here, right now to streamline our approach and allow more innovation.